The Case IH Maxxum 145 MultiController has won the prestigious ‘Tractor of the Year 2019' award thanks to its compact dimensions, power and range of transmissions options. Its combination of functionality and form were determining factors in the ‘Best Design 2019' title. Case IH, a global agricultural equipment brand of CNH Industrial N.V. (NYSE:CNHI), has been awarded the titles of ‘Tractor of the Year 2019' and ‘Tractor of the Year - Best Design 2019' for the Maxxum 145 MultiController, at the EIMA Agricultural Trade Show in Bologna, Italy. EIMA, which runs from November 7th – 11th, is a biennial event that hosts some 1,900 companies from 40 countries exhibiting more than 50,000 models of machinery and equipment for all types of agricultural operations. The Tractor of the Year Awards are determined by a jury of professional trade journalists from Europe's top agricultural publications. The Maxxum 145 MultiController was recognized for its transmission, the ActiveDrive 8, eight-step semi-powershift variant, which delivers enhanced operating efficiency. The ergonomic Multicontroller Armrest and joystick, which facilitate intuitive machine operation, especially when working with complex modern implements, was also a deciding factor. The combination of these features, together with the range's industry-leading fuel consumption for field work, not only improve farming productivity but also enhance overall sustainability. 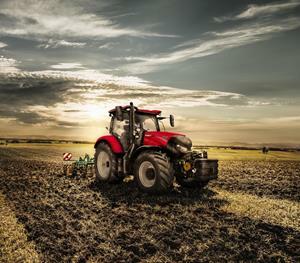 The model's success in the ‘Tractor of the Year – Best Design 2019' acknowledged the positive impact of the product's recent facelift, which represents the ideal combination of style and functionality. This award for the Maxxum MultiController range follows the ‘Machine of the Year 2018' accolade, conferred at the Agritechnica Trade show in Hannover, Germany, in 2017.